This New Jersey indie rock trio has a real great sound, with nice dynamics. The band’s sound is sometimes soft, but with a punchy sound eruption waiting always around the corner. It’s a fresh indie sound with some stoner rock sludge kicking around, and vibrato vocals full of fun and mystery. Screaming Females has a lot of presence. A chugging, and mystical sound, almost psychedelic at times. A band like this is real fun to stumble across. 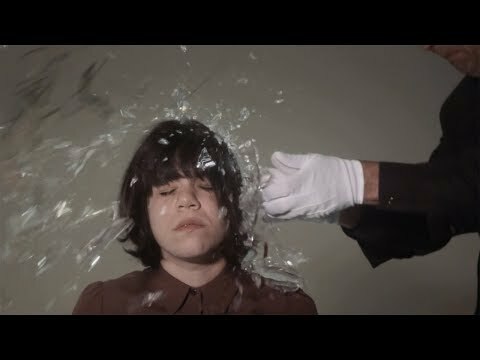 The video for “Glass House” sticks to a tight concept, and has a lot of personality and presence, like its music. There’s a real mischievous butler who goes around smashing things on the band member’s heads, while the singer spins on the ground, with twigs set around her body in specific ways, making her look like the minute hands of a clock. It’s a good time. With all the tightness that comes from being both talented and a band that’s been together for a long while, (Screaming Females has been recording music for at least twelve years now) this band is definitely worth checking out wherever possible. They have a great, engaging sound with great, engaging videos. Oh, and they also do wicked covers of songs you might not quite expect, which is an excellent way to be introduced to a band.